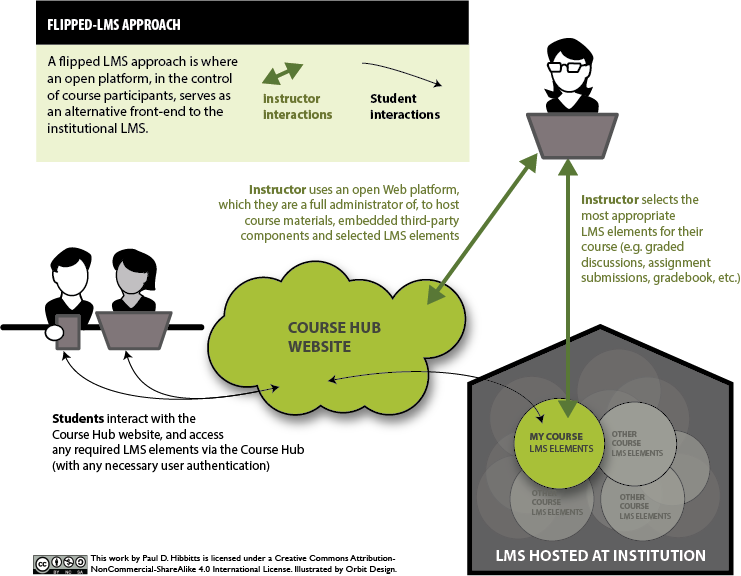 A flipped-LMS approach is where an open platform, in the control of instructors and students, serves as an alternative front-end to the institutional LMS. With this approach, instructors can create better outcomes and experiences for students and themselves today. Deep-links to any needed LMS elements (i.e. assignment submissions, discussion forums, grades, etc.) with flow-through for user authentication is the only back-end requirement.